We’re delighted to share our theme for Heritage Week 2019: Pastimes | Past Times. From 17-25 August we encourage you to take a stroll through history and explore how our free time has evolved in often fascinating ways. Tell the story from fireside audiences thrilled by ancient epics to online communities bonding over boxsets. Show how traditional crafts are growing in popularity as a new generation discovers the joy of handmaking. Explore hurling’s long journey from Cú Chulainn to Croke Park. Discover how our modern music festivals have nothing on the hedonism of Donnybrook Fair in the 1800’s! 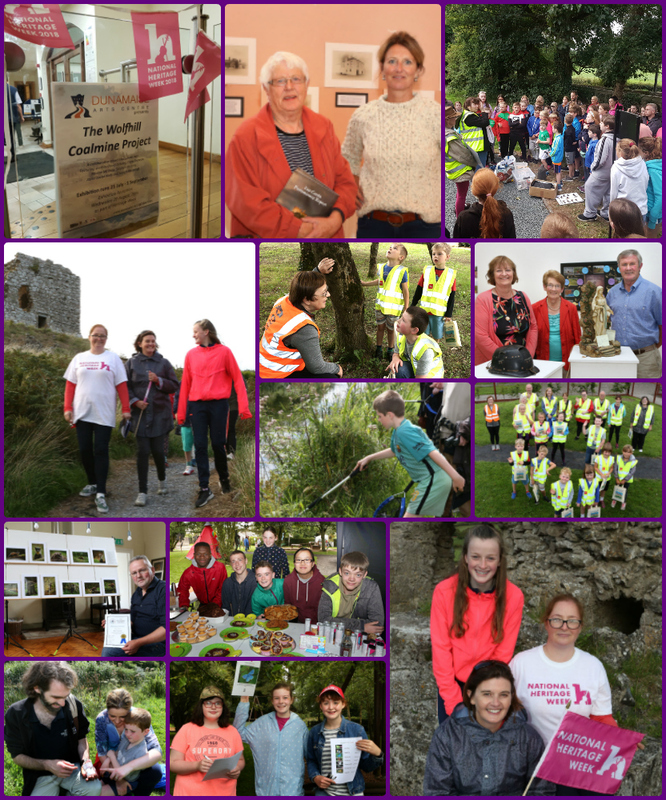 Coordinated by the Heritage Council, National Heritage Week is Ireland’s most popular cultural event and in 2019 half a million people are expected to participate in over 2,200 heritage events. National Heritage Week is part of European Heritage Days which promote Europe’s common cultural heritage. What to get involved as an event organiser? Not sure where to begin? Browse this list of 100 Event Ideas from living libraries to junior tour guides. A guide to all the great Heritage Week events in Laois will be available in mid Summer. Hard copies will be in all Branch Libraries and County Hall. You can subscribe to our mailing list to receive a hard copy in the post. Regular updates on Heritage Week and all other heritage events in Laois are always included on our Facebook page and Twitter feed. For events across the country, check out the Heritage Week website. Please contact us if you’d like to receive a hard copy of this year’s Heritage Week event guide in the post. National Heritage Week is your opportunity to explore and learn more about Ireland’s natural heritage and helping to conserve and preserve it for the future. Heritage Week in Laois is coordinated by Laois Heritage Officer. National Heritage Week is coordinated by The Heritage Council and its aim is to build awareness and education about our heritage, encouraging its understanding and conservation.